The famous Carrasca de Culla, a kermes oak, is a majestic botanical gem that was declared a monumental tree in the Valencian Community. It has a height of 20 metres, and a circumference of 7 metres in the trunk and 35 metres in the branches and it weighs about 75 tones. According to the legend, during the Carlist Wars, a military company took shelter, under its leafiness, at night. It is located in the Masía Clapés, in the road from La Torre d’ En Besora to Culla, 4 kilometres far from the HISTORICALAlthough it is private property, visitors can observe its magnificence from a very close place. It is a must visit place, considering that nobody can remain indifferent to this thousand-year-old kermes oak. 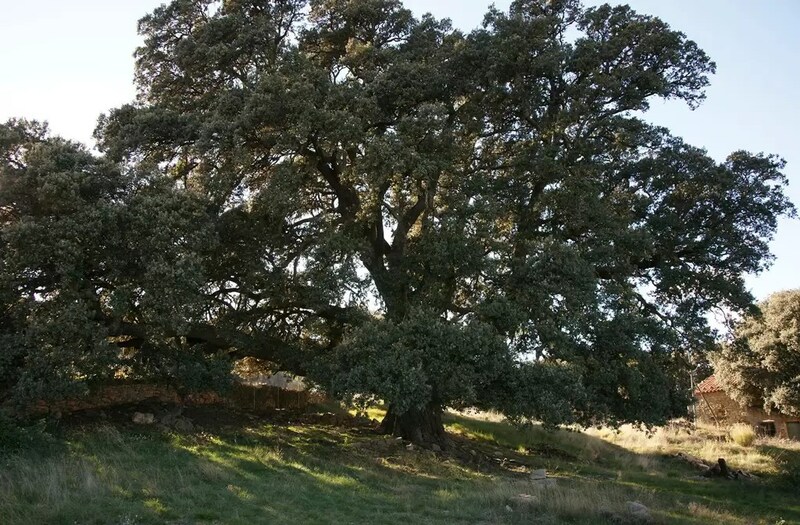 The famous Carrasca de Culla, a kermes oak, is a majestic botanical gem that was declared a monumental tree in the Valencian Community.